The Oscars have become irrelevant. Here's how 'Black Panther' could change that. Though popularity and historical significance do not give "Black Panther" a de facto claim to best picture, a win might be the only way to maintain relevance. The Oscars are no longer a national event. Twenty years ago, when Billy Crystal rode the Titanic into his opening monologue, more than 55 million people watched. Last year the audience was less than half that. The superhero hit was nominated for a Golden Globe in the drama category on Thursday, and is expected to be nominated for an Oscar next month. And though popularity and historical significance do not give "Black Panther" a de facto claim to best picture, rewarding the cultural moment might be the only way for the academy to maintain relevance. There are multiple theories for the Oscars’ decline, ranging from technological changes in how people watch TV to the growing chasm that separates liberal bastions like Hollywood from the rest of so-called real America. But the most important factor may have to do with the films themselves. "Titanic," which won best picture in 1998, was a blockbuster with broad appeal. It had everything pop culture craved — star cast, epic storyline, high production value — while being such an impressive achievement that high culture couldn't ignore it. To celebrate “Titanic” was to celebrate the power and influence of Hollywood itself. The best film category has become a more niche affair since then, with a growing divide between the films that Hollywood rewards and the blockbusters that mass audiences actually want to see: "The Shape of Water," "Spotlight," "Birdman" — so many of the recent winners, love them or hate them, had little claim on the national cultural conversation. Indeed, the national conversation about the Oscars often focuses instead on some controversy surrounding the show's host, which has made emceeing the ceremony one of the least-desired jobs in Hollywood. Late Thursday night, Kevin Hart announced he was stepping down from the role amid outcry over homophobic tweets. "As massive exercises in liberal, elitist self-congratulation, the award shows have made themselves increasingly irrelevant to the consumers that we seek to entertain," one Hollywood executive told NBC News. Enter "Black Panther." 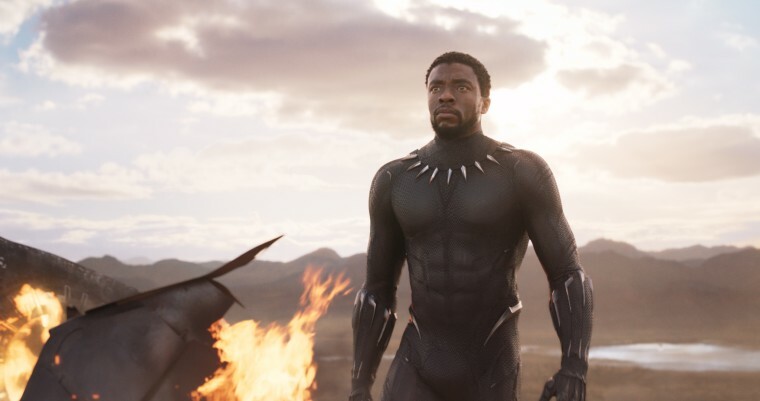 The first blockbuster with a predominantly black cast, Ryan Coogler's film became the third ever to break $700 million at the North American box office and was hailed by Time magazine as "a major milestone," and The New Yorker's Richard Brody as "personal and audacious" for fusing "the imaginary realm of Marvel characters with world history, contemporary politics, and specifically the experience of black people in the United States." Along with “Black Panther,” "A Star is Born" — also a mass-appeal film, albeit with a smaller mass — and niche darlings like "Roma," "The Favourite" and "Green Book" will also likely fall into the best picture category. Already, the conventional wisdom in Hollywood is that one of these will win. Nominations will be announced on Jan. 22. "The only interesting question this entire award season is whether or not voters reward ‘Black Panther,’" the Hollywood executive said. "If they do, they understand that there is a path to awards being relevant in terms of popular culture. If they don’t, they will continue to make awards more and more irrelevant to the masses."